Back in May, when Alaskans were freshly angry about the failure of the majority in the Alaska House to deal with the state's fiscal gap, I wrote a column to persuade citizens to run and fix the problem. Jason Grenn responded with an email. "I wanted to send you a note to let you know that your article a few weeks ago encouraging Alaskans to run for office really spoke to my heart and my mind," he wrote. "I had been toying with the idea with my wife and friends but decided now was not the best timing. The next day, your editorial was published. I called a friend to ask if he'd seen it. When he answered, he was laughing and just said, 'You're running. huh?' "
Grenn, 35, with three young kids and a full-time job, put himself forward against a Republican incumbent in a Republican-leaning district in Anchorage's Sand Lake area. He had already quit the Republican Party because it no longer matched his moderate views and would run as an independent. I felt a little guilty. Political beginners like Grenn almost always lose against incumbents. Grenn seemed like the kind of bright, idealistic young person I'd seen lose elections many times before. But not this time. Grenn worked hard and smart and defeated Rep. Liz Vazquez Tuesday night. The House majority lost two and possibly three members in this election, adding to seven members defeated in the primary. 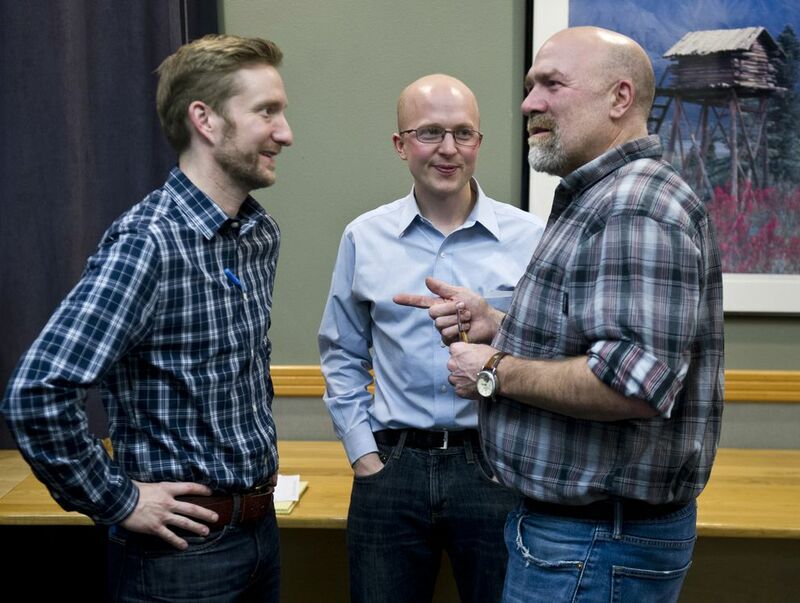 In Juneau, Democrat Justin Parish, a youthful-looking 34-year-old with a bushy beard, beat Republican Rep. Cathy Munoz, who had been in the House eight years and on the Juneau Assembly for seven. Another House race in Anchorage remains close enough that the incumbent could still lose, depending on how absentee and questioned ballots split: Majority Leader Charisse Millett leads by only 45 votes over her Democratic challenger, Anchorage School Board member Pat Higgins. Tuesday night I asked Grenn what position he would seek in a new House majority. He said, "I don't care what committees I'm on, if I get to be chair of anything, or how big my office is. I just want to help solve the budget." Grenn said he never wanted to run. Last spring, as chairman of the Sand Lake Community Council, he was unsatisfied with Vazquez's responsiveness. But his main complaint was her role in the House majority that did not address the fiscal gap. "If there was a budget plan that would have passed," he said, "I wasn't going to run. There was no reason to." He tried to recruit a couple of neighbors to run. His goal was to solve the problem, not get into office. When they turned him down, he talked to former House member Andrew Halcro for more ideas. "He ended up saying, 'Why not you, Jason?' " Grenn recalled. He had good reasons why not. He would have to resign from his job as manager of the Pick. Click. Give. charitable program of the Alaska Permanent Fund —although without a replacement, he kept doing the job while campaigning. His children needed him at home, but campaigning would mean spending hours every day walking the district. Youthful energy is a powerful weapon. I could see it in his lively eyes at a campaign party late Tuesday. "I never slept. I ate leftovers. I drank coffee 24/7. It's just like being a parent," he said. "It's been inspiring, it's been encouraging, it's been exhausting. My wife is here. This is the most time we've spent together in five months." He respects politicians more now. He didn't know how badly it would feel to have attack mailers arrive at his home day after day, calling him a phony, and having to explain that to his family. Grenn's election-night party was in the Boardroom, a shared-office complex used by young entrepreneurs at Fifth Avenue and F Street. 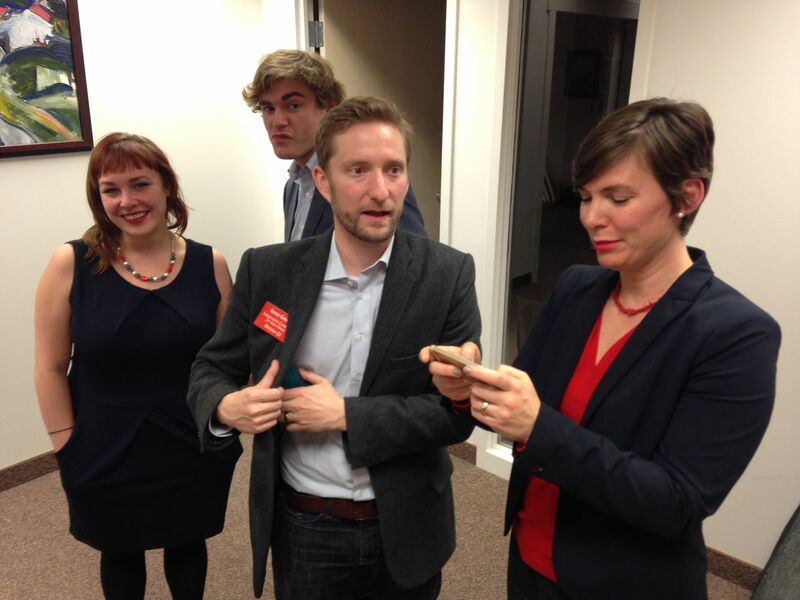 His campaign consultant, John-Henry Heckendorn, was hosting. A recent graduate of Whitman College in Walla Walla, Washington, Heckendorn has built an impressive list of wins with his Ship Creek Group in a short time. Late Tuesday night he sat at the pingpong table sipping whiskey, surrounded by staff, friends and politicos watching state Division of Election printouts projected on a screen. Another successful Ship Creek client, Democratic Rep. Ivy Spohnholz, pulled Grenn aside for a private conversation. He said Reps. Les Gara and Chris Tuck had approached him previously to talk about organization. Nearing midnight the whiskey flowed, but the party had barely started (although Grenn didn't seem to be drinking). Looking around, I realized that, at 53, I might be the oldest person in the suite. Grenn still wasn't sure if he had won. But he said he would be glad he ran, win or lose. "If I never run for office again, and I lose tonight, I learned about myself," he said. "When I'm 50 years old, I can say I ran for office once, and tell my kids, show them my stuff." As he heads to Juneau, he'll have more absences from the children ahead, and more to tell them about when he reaches the ancient age of 50. I hope he accomplishes a lot for them — and for my kids — by helping stabilize the state's finances and protecting the schools they attend and the economy in which they'll seek jobs. But, based on my experience, I wouldn't count on them being very interested in the old campaign material.